heart of war | That Was an Accident! 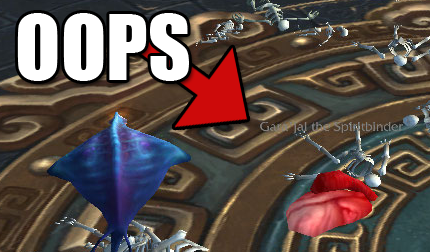 I’d like to show you a nice shot of Garajal’s dead body as a testament to the fact that we killed him, but … this is the best I got. A guildmate got a little excited during the fight, see, and went overboard. Just a little. Well, if we weren’t sure that he was dead before, we’re 100% sure he’s dead now. This entry was posted in For the Horde, Baby!, Goblins, Thermalix, World of Warcraft and tagged gara'jal the spirit binder, goblins, guild, heart of war, hunter, mogushan vaults, oh the goblinity, raids, thermalix, world of warcraft on February 23, 2013 by Prinnie Powah. It didn’t take 28 tries! 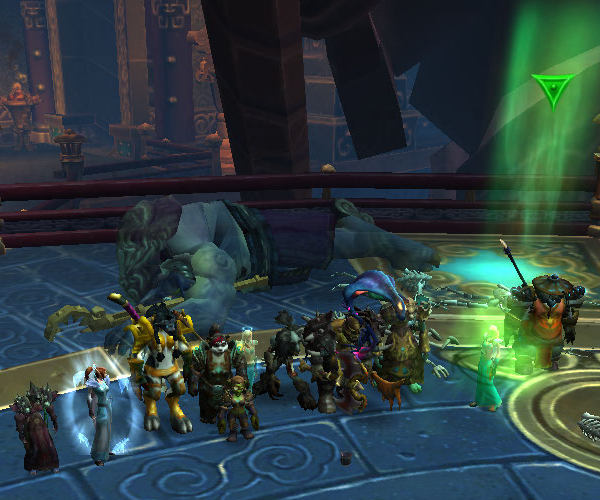 I managed to get a screenshot without our guild leader sporting a pumpkin head this time! 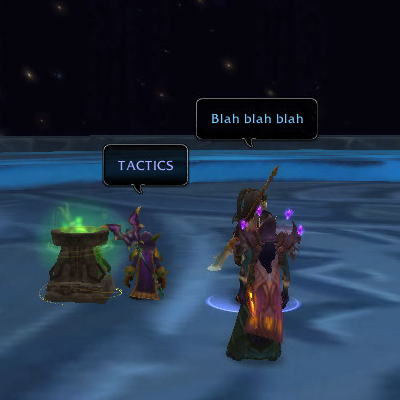 This entry was posted in World of Warcraft and tagged death and destruction, feng the accursed, goblins, guild, heart of war, hunter, mogushan vaults, oh the goblinity, raids, thermalix, world of warcraft on February 9, 2013 by Prinnie Powah. 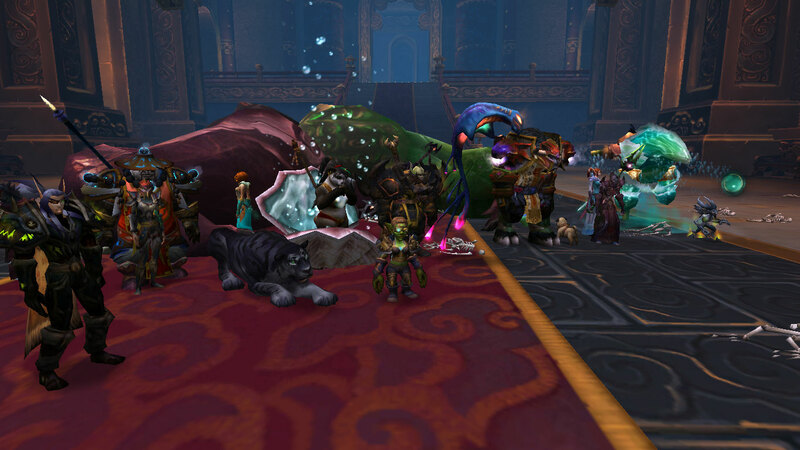 This entry was posted in For the Horde, Baby!, Goblins, OMGWTF, Thermalix, World of Warcraft and tagged goblins, guild, heart of war, hunter, mogushan vaults, oh the goblinity, raids, the stone guard, thermalix, world of warcraft on February 2, 2013 by Prinnie Powah. 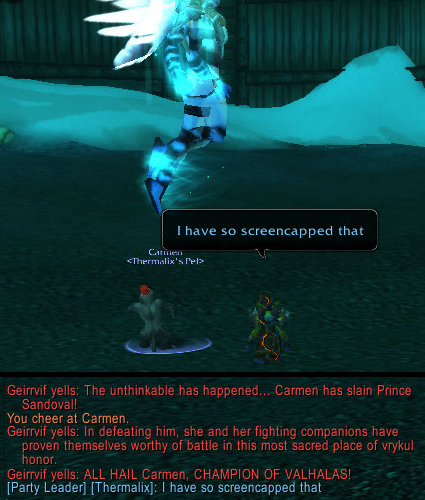 All Hail Carmen, Champion of Valhalas! They apparently don’t care that they’ve been pwned by a monkey in a fez. Carmen, formerly a resident of the Swamp of Sorrows, made quite a splash in Valhalas the other day when I stopped by to help a guildmate out. 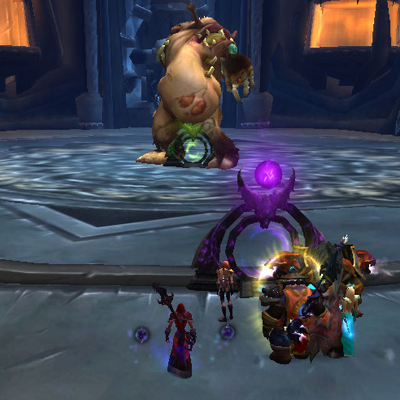 I suppose to the Vrykul, a defeat is a defeat, whether it came at the hands of another Vrykul or a monkey in a fez. 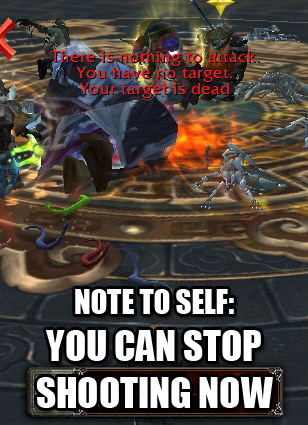 I begin to suspect that our guild rule is something like this: when all else fails, SHOOT FASTER. If necessary, run back from the graveyard, but SHOOT MOAR FASTER. It gets you there faster AND has the added bonus of being kinda funny. This entry was posted in Ailabeth, Esplodine, For the Horde, Baby!, Forsaken, Goblins, Oh Sheeyit Screenshots, OMGWTF, Thermalix, World of Warcraft and tagged ailabeth, death and destruction, esplodine (formerly centina), goblins, guild, heart of war, hunter, mage, oh the goblinity, pets, priest, thermalix, valhalas, world of warcraft on January 11, 2013 by Prinnie Powah. My guildmate, Abruine, was unfortunate enough to get me as his Secret Santa this year … I decided to make him a lovely collage and poem. He’s just like Batman, except he’s a cow. And sometimes he wears more armor, but sometimes he wears way less. but a cow by night, he tanks. he’ll jump from the highest peak. and he bubbles on landing. 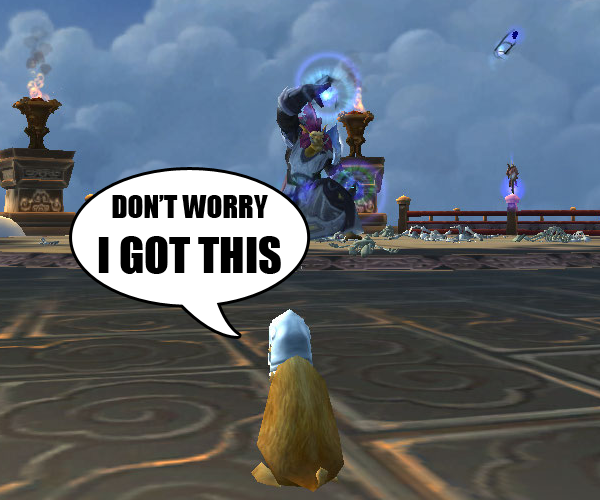 This entry was posted in For the Horde, Baby!, OMGWTF, World of Warcraft and tagged blingtron, guild, heart of war, oh the goblinity, secret santa 2012, tauren, world of warcraft on December 18, 2012 by Prinnie Powah.